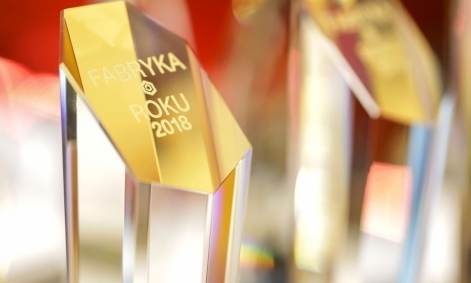 On December 5, 2018 in Warsaw, Trade Media International and Inżynieria i Utrzymanie Ruchu and Control Engineering Polska publishing houses for the seventh time have emerged and rewarded companies and individuals particularly distinguished in the introduction of new solutions and technologies in production plants in Poland. Over 90 production plants participated in this year's edition of the competition, and the winners were awarded in 19 categories. Among the prize winners was also our company. We have triumphed in the FMCG sector, of which we are extremely proud. We are constantly working hard to improve the quality of our products. We create the Research and Development Centre for Detergents and Cleaning Technologies, we implement the latest production solutions, we work on innovative recipes. All this to make our products respond even better to the needs of our clients, but also to the needs of the changing world. We appreciate that our efforts have been noticed and honoured.